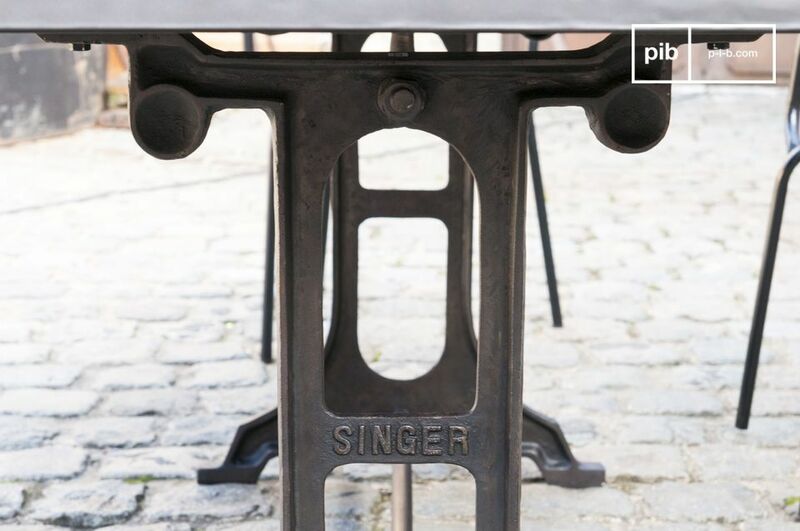 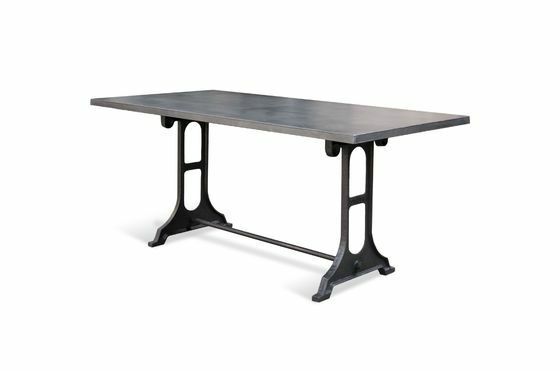 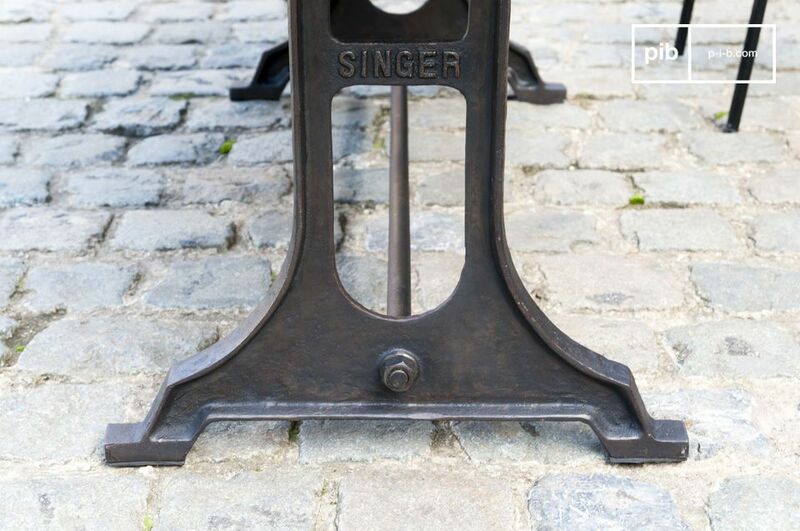 With its gray metal top and slightly weathered cast iron base, this dining table is ideal for adding an industrial feel to your dining area. 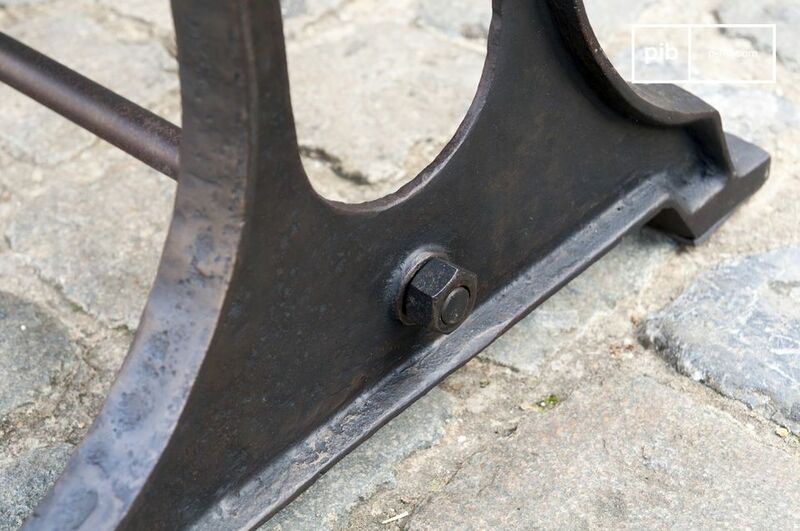 The panel is made of wood with a thick layer of nailed steel as the surface, giving the furniture a "raw" style and offering exceptional durability. 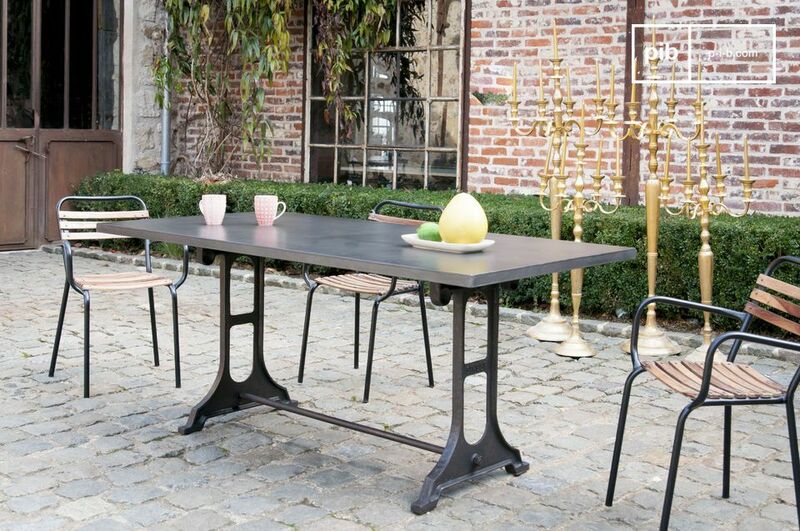 The harmonious proportions of the cast iron legs contribute to the aesthetic balance of the Venay table and provide an additional industrial touch. 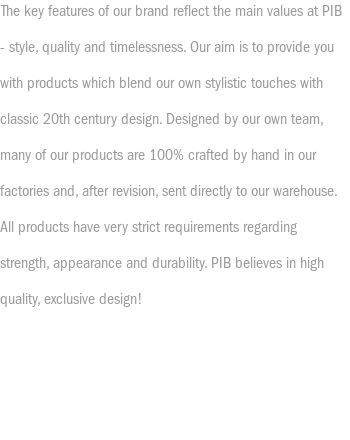 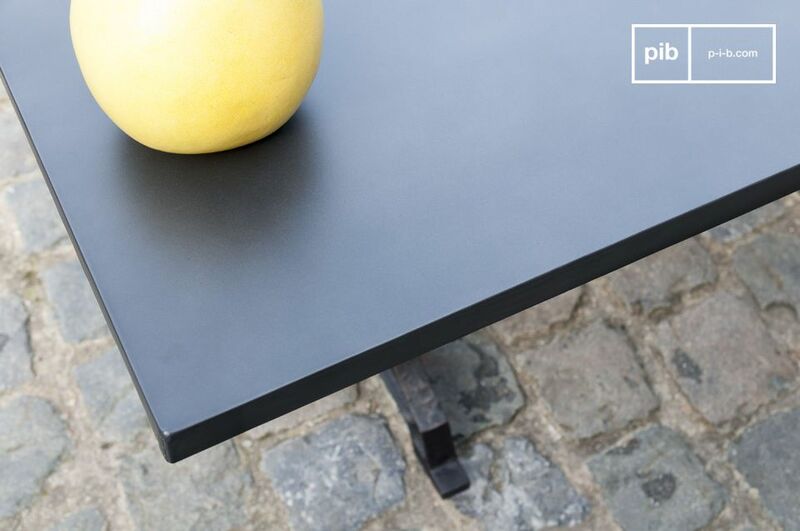 In timeless design, the furniture has a very sleek finish. 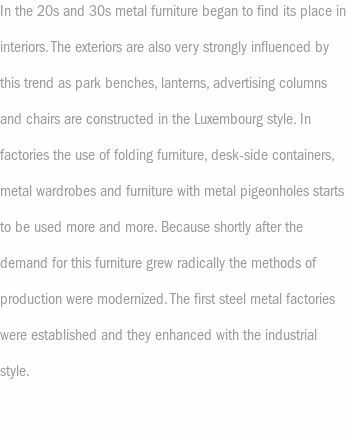 It will be the highlight of your dining room, surrounded by matching chairs made of dark metal or light wood to set a successful contrast. 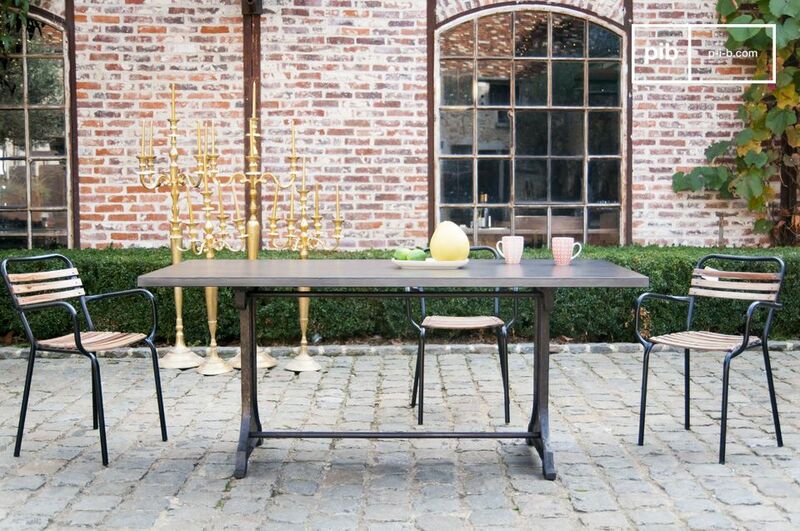 Easy to clean with a sponge, the Vinay table comfortably accommodates six to eight guests.